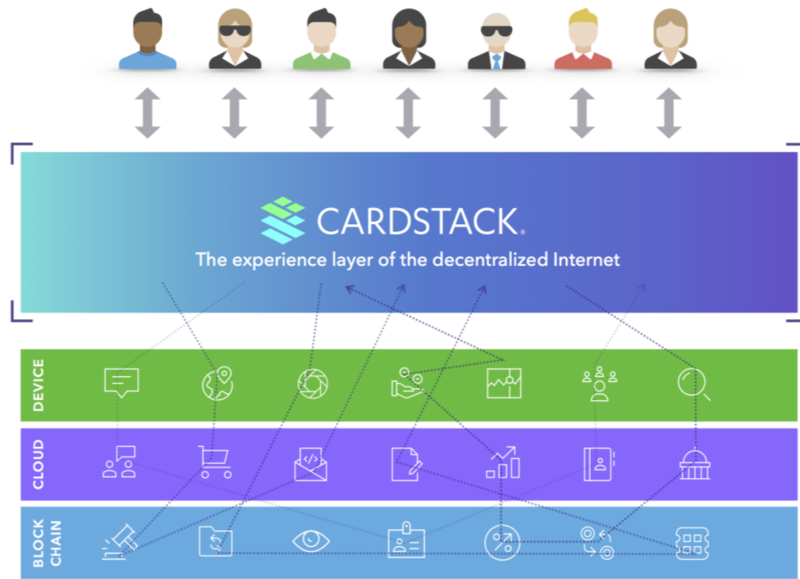 The Cardstack ICO will bring us Cardstack an Ethereum blockchain-based dApp market platform that offers a layering protocol to improve user engagement, transactions and ordering of blockchain apps in a single location. The purpose of the Cardstack ICO is to raise funding so that Cardstack can resolve the usability and scalability concerns that are currently inherent when users want to adopt multiple Decentralized Applications (dApps) on the decentralized internet. Cardstack will do this by applying their various dApps to the Cardstack software, which will enable them to construct a usage order of specific features from different dApps, which they can adjust depending on their needs for their current workflow process. This will reduce the extent of their involvement with the complex organization of purchasing and transacting multiple dApp network-specific tokens, as Cardstack will automatically track and process these transactions across the various dApp platforms. In doing so, Cardstack hopes not only to increase the efficiency of processes and workflow, but to also make it easier for blockchain technology and dApps to be adopted on a wider scale. Cardstack uses a proof-of-usage protocol called Tally that uses the validation, processing and completion of transactions, to create new blocks in the blockchain. This process is carried out off-line by miner nodes, who receive a CASRD token reward from users for processing their task. The user first installs the software and is then provided with their own private hub on which they can input the dApps that they would like to use. Users can then select specific features from an app and Cardstack will then store the selected feature’s data on its own card. This is applicable to multiple dApps and features. The user can then stack these dApp cards in order to build a pooled dApp that can meet all of their needs. The advantages here are that the user will not need to switch between apps to perform various functions, they will not need to according to the order that they would like the dApps to interact and transact. For instance, the user could create cards for an insurance dApp, an instant messaging dApp, a claim dApp and a payment dApp. This stack is then saved as a cardstack. Users can then edit the order of these cards as needed. When the user wants to perform a task, the Cardstack platform’s protocol will automatically engage with the various dApps so that the features run smoothly. It will also manage file storage and transact payments autonomously, thereby making blockchain technology much easier to use. Cardstack’s creators hope that this could also help to make blockchain adoption less daunting for new users. In this way, the user’s involvement with the process is far less laborious and confusing. Cardstack’s infrastructure is open-sourced. This means that while the platform itself is centralized, as the user’s data is stored on their hub, users also having the opportunity to engage in decentralized peer-to-peer software exchanges. In this way, users will also be able to create applications on the platform, as well as to collaborate of dApp creation. Another benefit of this approach, is that a user will no longer to need to open and operate across multiple dApps when they want to perform a single task. While it may not seem necessary with centralized apps, blockchain dApps require more protocols to run. This is because each platform uses its own protocol for token transactions, smart contract implementation, authentication and other protocols. Once users have set up a Cardstack, they can select that saved task group to perform a function or adjust the cards. Cardstack already has an existing product that has been purchased and adjusted for the needs of existing companies. 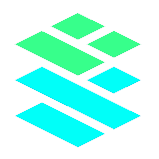 The purpose of the Cardstack ICO is to raise the necessary capital that Cardstack need to expand on their existing architecture in order to transfer the technology on to the blockchain as well as to develop the architecture to the point where it can facilitate the incorporation of plug-ins and other necessary features to make this project fully functional and scalable. CARD is an ERC20 compatible token that is used to carry out transactions on the Cardstack network. They can be purchased during the Cardstack ICO, as well as later once the platform has launched. When the platform launches, there will be two tokens: the Cardstack Token (CST) and the Software and Services Coupon (SSC). Users can purchase CST tokens with fiat currencies in order to perform transactions on the platform. This will also require them to download an on-platform wallet. 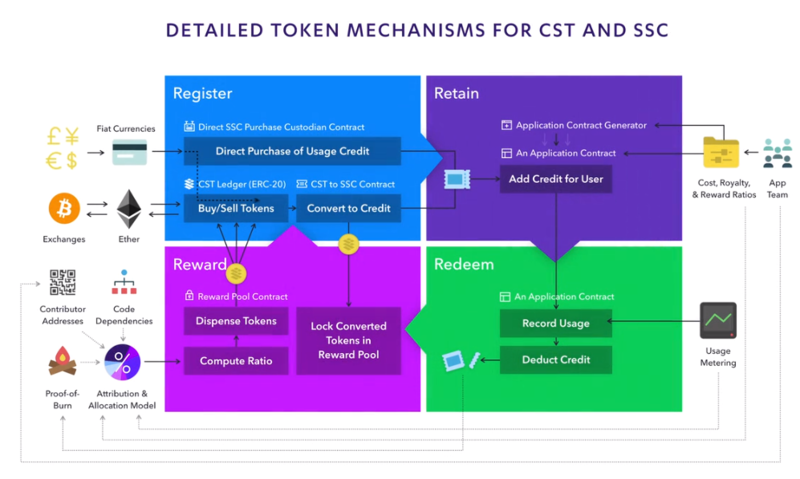 The CST tokens are used to purchase a SSC Coupon, which will be used as leverage to form a retainer agreement with the dApp provider when the user requests access to a dApp and its features. These tokens can be used as an incentive for software developers and programmers to participate on an open-sourced exchange, so as to encourage the growth and availability of open-sourced collaboration of software development. This can be accomplished by software developers making their programming available on Cardstack’s library, where they can then earn a percentage of the revenue generated from the dApp that implements their programming. This is also an effective solution for developers to sell their software to others, without needing to raise their own capital to fund their projects. They can accomplish this by making their software available on the platform and encrypting it with a smart contract proof-of-use payment protocol. This means that software users will not need to purchase the software, but will rather be charged when they use, just as with regular dApps. However, CARD will the token used to remunerate the developer.